Welcome everyone to the blog anniversary and Youtube celebration for Got Joy Creations. You are in for a magnificent hop with some incredibly talented ladies. We will be sharing projects that are inspired from creations found on Dana's YouTube channel. The hop will run from June 30 - July 5. 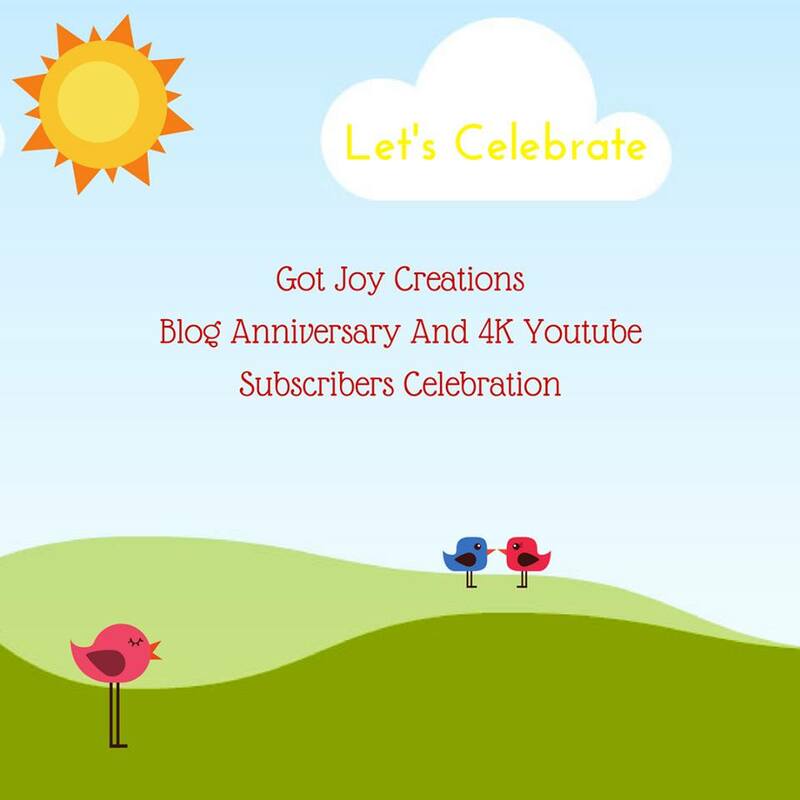 I was very happy when Dana asked me to join her Anniversary Blog Hop. Altenew Halftone Circles Make Your Own Background Tutorial. I chose to overlap my Altenew Halftone Circles to make a water background for my cute little otter from My Favorite Things BB Otterly Love Stamp Set and BB Otterly Love Die-namics. Stamps: Altenew Halftone Circles, My Favorite Things BB Otterly Love Stamp and Die-namics Paper: White Cardstock (Papertrey Ink), Recollections Black 110# (Michaels) Ink: VersaMark, Hybrid Black Licorice (My Favorite Things), Your Next Stamp Premium Dye Ink Pads Blue Curacao, Blueberry Breeze, Sea Breeze, Ocean Mist, Totally Teal, Copics: C00, C0, C1, C3, C5 Accessories: Cuttlebug, MISTI, foam tape. Make sure you comment on each blog for your chance to win some awesome prizes!! The winners will be announced on July 7th. And what's a hop without prizes? Here's what's up for grabs. Such a cute and easy card. It truly inspires me to dig into my craft stash and see what i can do with what i have. My last post commented as unknown :( tried to fix it on my account but it didn't change it so here I am again. Love your inspiring card. This is SO adorable and I love the stamped border you added! So glad we could connect through Dana's blog hop. Crafty hugs. Hi Lisa your card is so stinkin cute ..I love it!Love the versatility of it could be used for many occasions ! I love your fun and easy breezy card! The little guy is too cute! What a cute card, love the otter! The otter is so stinkin cute! Thanks for sharing! Very cute card thank you for sharing. Your card is super sweet! I love that half background. Sweet card! 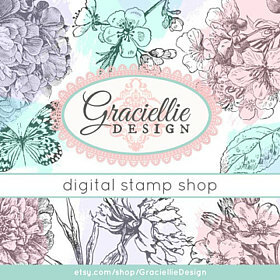 I love your color choices, and your overlapping circle background at the bottom of your card adds such interest! Very clever! Super cute! Love how you used the half tone circles! Love the graphic circle stamps and the cute little seal peeking out! I love that you used the half tone circle stamp to create the swirling water the otter lives in! Precious card! Such a fun card and I just love that adorable otter! What a darling card! I love how you made the water for that adorable little otter! Thanks for sharing! So cute. I like your circle background for the water. I can't stand how cute the otter is. I have to have him! Such a pretty card. Great job! Love the half tone circle stamping with cute image! So sweet CAS card. Love it. Cute card. I like how you created that background. I loved your card...it's so happy! Such a sweet card Lisa, the otter is so cute! I am loving this cutie-patootie and those fab halftone circles! Congrats to Dana!! Ohhhh . . . . he's soooo cute!! And what a fabulous background! Awww!!! Such adorable card!!! Too cute!!! Great card and what a cute little critter. Love the background. So cute! Love that darling otter! Awesome background too!